The Alma is the perfect option for days when your schedule is packed but you still want look smart, this style has been crafted in Italy from taupe leather and croc-effect leather. This design features punched broguing on the upper and a matching suede tassel. 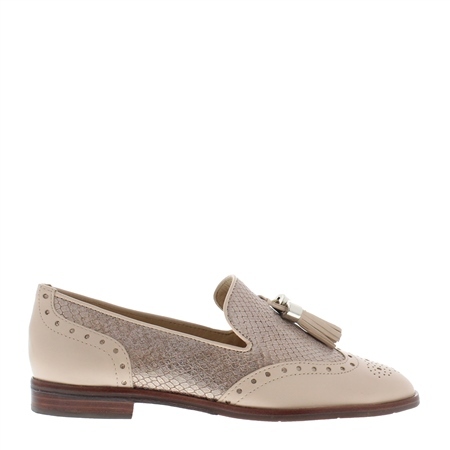 The Alma is updated in taupe leather for your spring wardrobe palette.